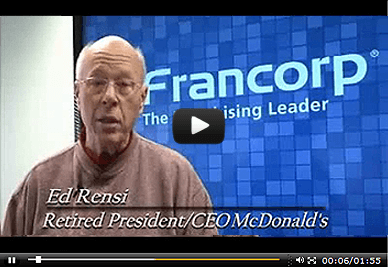 Francorp is acknowledged as the world’s leader in franchising. Since 1976 Francorp has provided full development programs to help insure the franchise success of over 2,000 businesses. Franchising avoids the problems of slow growth, the problems of outside capital, and the problems of finding the right employees. In short, franchising solves the problems of Money, Time, and People. And it does so in creative ways… Read more.